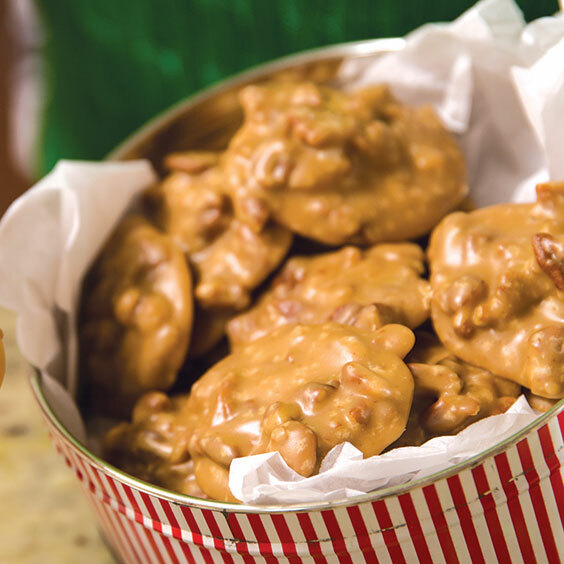 Pecan Pralines are a scrumptious Southern staple! Line a rimmed baking sheet with wax paper, and spray with nonstick cooking spray. 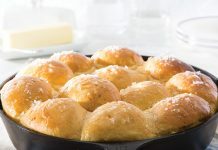 In a large heavy-bottomed saucepan, bring brown sugar and next 3 ingredients to a boil over medium heat, stirring until sugar dissolves. Cook, stirring occasionally, until mixture registers 236° on a candy thermometer. 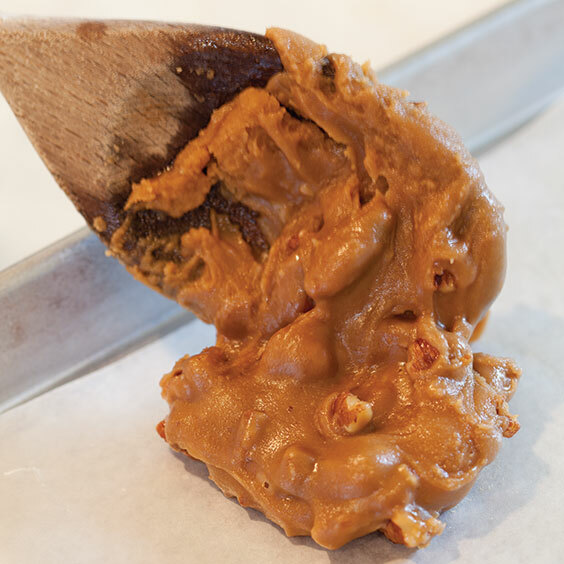 Remove mixture from heat, and place butter in center of mixture (do not stir). 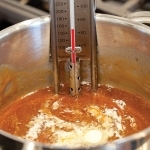 Let stand until mixture registers 150° on thermometer. Using a wooden spoon, stir in pecans and vanilla; continue stirring constantly for 4 to 5 minutes or until candy begins to thicken. Working quickly, drop by rounded tablespoonfuls onto prepared pan. Let stand until firm. Store in an airtight container for up to 1 week. 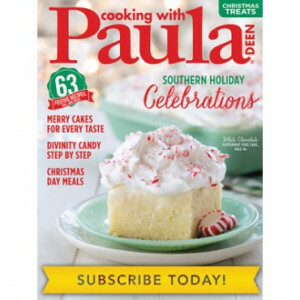 STEP 1: When cooking and stirring the mixture of brown sugar, heavy cream, corn syrup, and salt, remember that 236° is the magic number on the candy thermometer. STEP 2: The temperature on the candy thermometer goes down fairly quickly once the pan is removed from heat and the butter is added. Watch closely for the next important number: 150°. 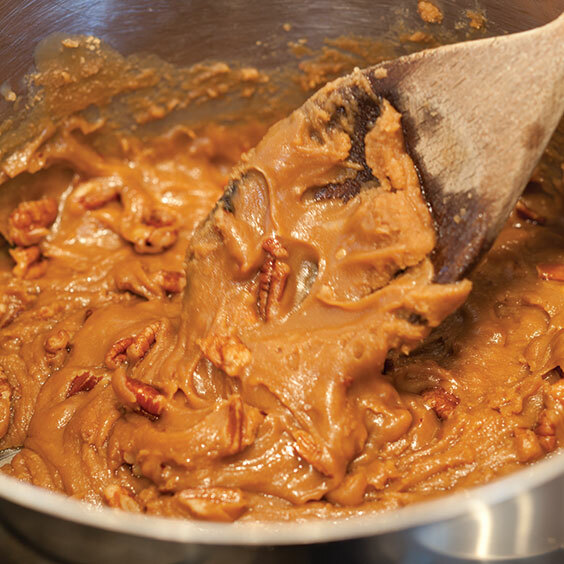 STEP 3: When the mixture reaches 150°, be sure to use a wooden spoon to stir in the pecans and vanilla. As you stir, the mixture will thicken in about 4 to 5 minutes. STEP 4: The mixture will continue to firm up, so work quickly when dropping by rounded tablespoonfuls onto the prepared pans.